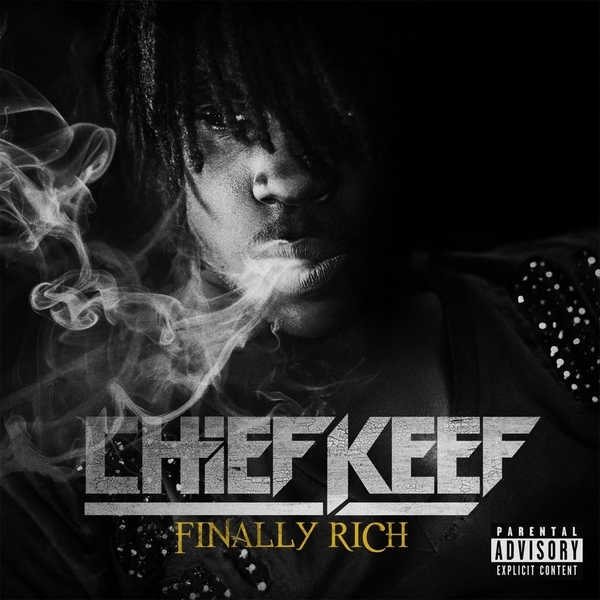 Finally Rich is the debut studio album by American rapper Chief Keef. It was released on December 18, 2012, by Glory Boyz Entertainment and Interscope Records. The album features guest appearances from 50 Cent, Wiz Khalifa, Lil Reese, Rick Ross, Young Jeezy, Master P, French Montana and Fat Trel. The font used for the album title on the cover art is very similar to Romance Fatal Serif by Juan Casco. For the font used for the Chief Keef logo, you may view our previous post about the Bang 3 font. If you do not want to download and install the font but just like to create simple text or logos using Finally Rich (Chief Keef) Font, just use the text generator below. The following tool will convert your entered text into images using Finally Rich (Chief Keef) Font, and then you can right-click on the image to save it or click on the "EMBED" button to get links to embed images on the web.